True, Break Free is good stuff. 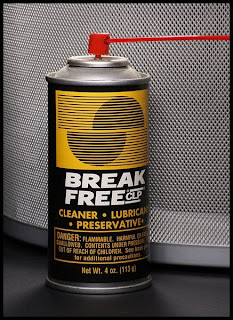 And although there are a few other great lubricant and cleaning products out there, Break Free's ability to do three jobs as one product makes it the best for field use. WD-40 doesn't protect against rust? WD-40 was originally used to protect nuclear missiles from rust.